The Association of Junior Leagues International, Inc. Winter Leadership Conference provides workshops and leadership trainings for incoming Presidents, President-Elects, and Executive Vice Presidents. This year the Winter Leadership was held in Long Beach, CA January 25-28, 2018. President-Elect Tiffany Williams and current Membership Vice President and newly slated President-Elect-Elect Katie Doyle attended the conference. Three hundred thirty six delegates from 181 leagues received trainings from AJLI staff and consultants. President-Elect Tiffany Williams attended the leadership tracks to prepare for the 2018-2019 Presidency, which included workshops such as The President’s Toolkit for League Governance and Leadership, presented by Anne Dalton, AJLI Chief Officer for Strategic Initiatives, League Leaders, and Carol Scott, AJLI President, 2016-2018. President-Elect-Elect Katie Doyle attended leadership workshops focused on the importance of the President-Elect year. 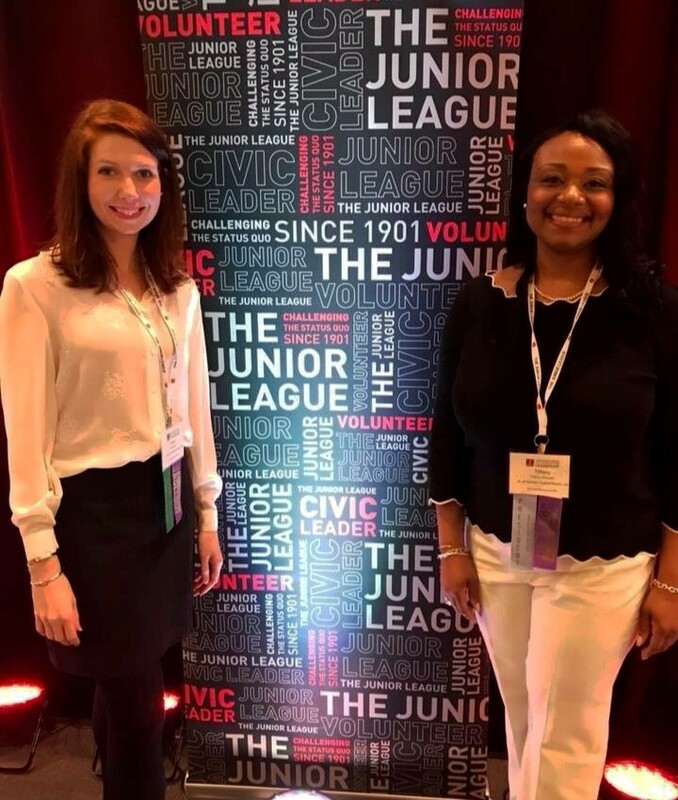 She heard from Vicki Clark on the Importance of Junior League in the Community and from Aditi Deeg, AJLI Director of Finance Administration, on the Business Behind the League’s Mission. Jointly Tiffany and Katie had the opportunity to attend workshops on managing delegation and their favorite…High Performing Partnerships: Creating a Successful President and President-Elect Team! Tiffany and Katie had an opportunity to meet with the VA Leagues that were present, Roanoke Valley, Richmond, Northern VA, and Hampton Roads to discuss the Virginia Leagues Summit and next steps with SPAC. Visit www.ajli.org to learn more about the Association of Junior Leagues International (AJLI).